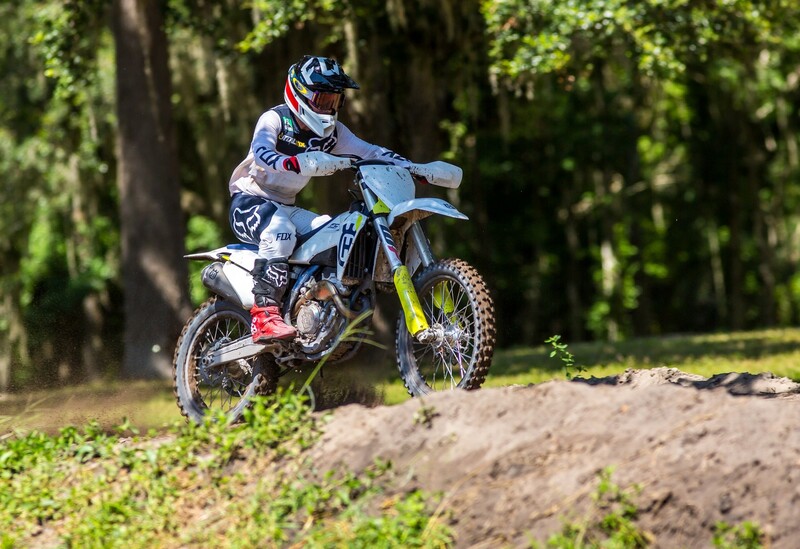 We've been in Florida this week with the opportunity to test out Husqvarna's 2019 motocross range of four and two strokes out at Aldon Baker's "Bakers Factory", which happens to be the location of training for Rockstar Husqvarna's whole motocross team. This was a big event for Husqvarna as it was a World Launch, which means this wasn't just limited to the US media but included journalists from all over the world. Because of this, the launch was a bit of a rotation for bikes as we had one day to split the five models (with a few examples of each) amongst the a lot of journalists. The US test outlets were left the option of taking one of two bikes for the day or staying in the standard rotation to hit all five. We opted for all five as we will get some more individual time with each bike in a few weeks at home. For now, we've broken our day into six audio files, which you will find below. The first will break down the situation of the test and the following will be labeled based on the model we're talking about, so you can learn a bit about each bike we tested. If you want all the tech specs and details, hit the link at the bottom of this feature for the First Look. Click play to listen in. For our thoughts on the 2018 Husqvarna FC 450 Rockstar Edition, which we had more testing time on, hit the video below and keep scrolling for our thoughts on the two-stroke line in the audio files below. As we mentioned at the start and multiple times in these audio run throughs, there will be more on these bikes once we get them to test at home. Most notably a solid few days with the Husqvarna FC 450 and FC 250 before we head into Shootout season, so keep an eye out for those and the next bike intros over the next month or two. For all the 2019 Husqvarna tech specs and press launch details, hit the link below. And for more First Look and First Impressions, there's links below for what's been released on the 2019 models so far along with our tests.